Custom Homes Design, (C)Copyright 2009, Home Architect, PLLC, All Rights Reserved Worldwide. Big Bear mansion designed by Home Architects. Custom homes design for The WNC Plateau. 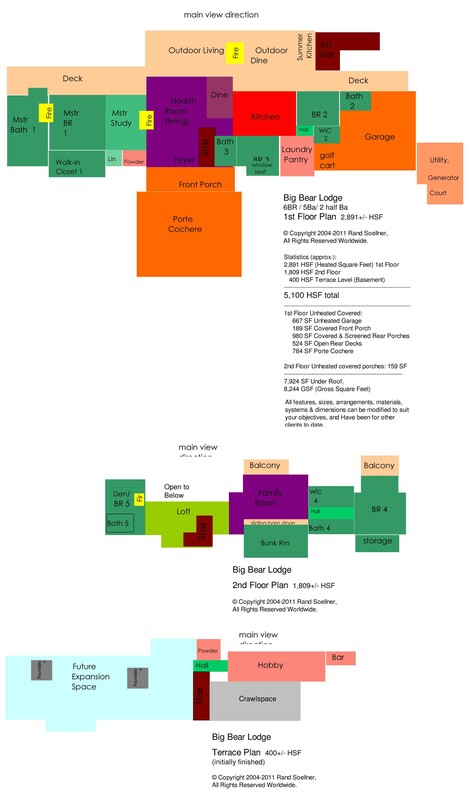 (C)Copyright 2006-2010 Home Architect, PLLC, All Rights Reserved Worldwide. This mansion represents the state of the art in timeless custom homes design in the Highlands – Cashiers, North Carolina area. The Architect calls the following mountain towns local: Highlands, Cashiers, Lake Toxaway, Glenville, and Sapphire. Franklin is nearby to the north and west. Brevard is to the east and Asheville is further east. Atlanta is about 2-1/2 hours to the south. This is considered close for vacation property, so many people from the Atlanta and Buckhead areas have 2nd homes in Highlands. This Architect is always working on custom homes design. “Even as a teenager, the senior staff Architect would be creating a residential design,” said Rand Soellner, ArCH, NCARB, “I started in a drafting class when I was 15.” That was more than 40 years ago, so this is one residential architect who has a great deal of experience. As a custom home architect, Soellner realizes that he has a responsibility to provide the best custom homes design possible for his clients. He explains that listening to his clients first, then creating the program for their lifestyle, then combining that with their site is the key to his custom homes design philosophy. Custom homes design has been the focus of his career, even when designing commercial facilities, he was always creating a house or some form of housing. 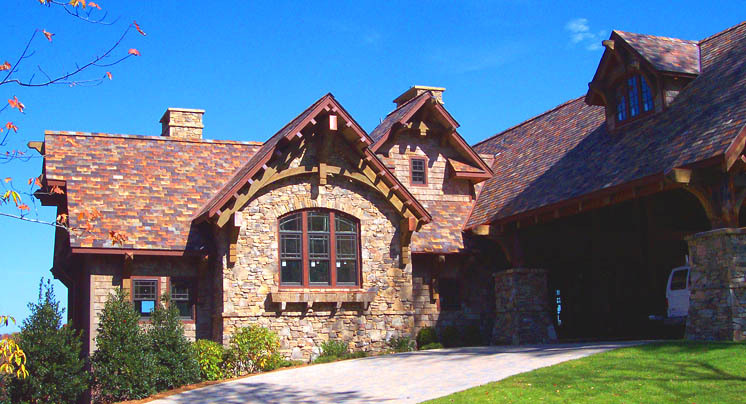 The Big Bear Mansion was a concept custom homes design for an all-stone version of another home created by Soellner in the Western North Carolina area. Custom homes design by Home Architects with similar features. (C)Copyright 2006-2010 Home Architect, PLLC, All Rights Reserved Worldwide. 7,700 gsf large estate home (5,100 sf heated) designed specially for mountain environments. One version has been built in Lake Toxaway, NC. 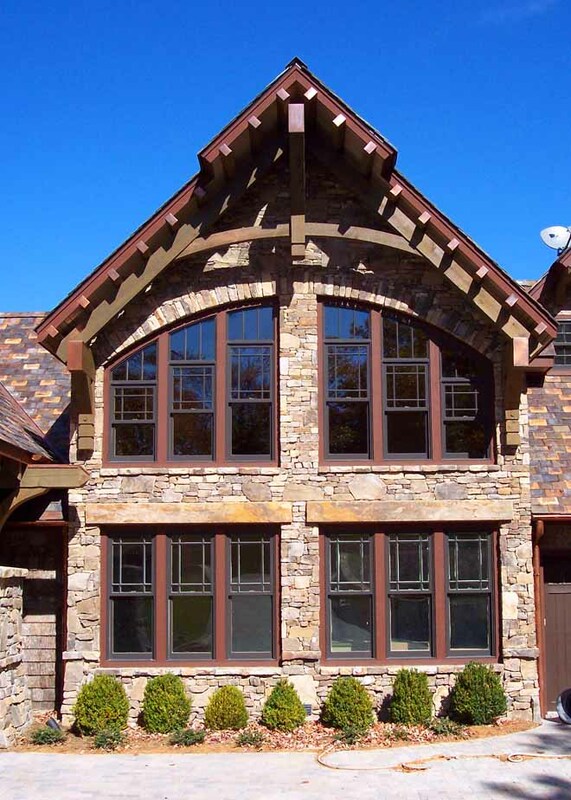 On the custom homes design elevation above, most of the front walls are faced with primitive Blue Ridge mountain stone, with some accents of 24″ square poplar bark shingles. The roof is a new breed of faux slate tile. Special arched-top windows designed by our firm grace the view areas. Our version of “Adirondack stone blade” arches enhance the timeless quality of the homes’ appearance. Large timber and debarked log posts and beams compliment the home with a massive structure that gives people a feeling of permanence. If you might be interested in a mountain homes architect, please click on the hotlink in this sentence. tags: custom homes design, mountain, lake toxaway, highlands, cashiers, timber frame, post and beam, castle, rustic mansion, green, residential, log mansions, stone mansion, castle, lodge, dubai, canada, telluride, boone, aspen, greenwich, connecticut, park city.